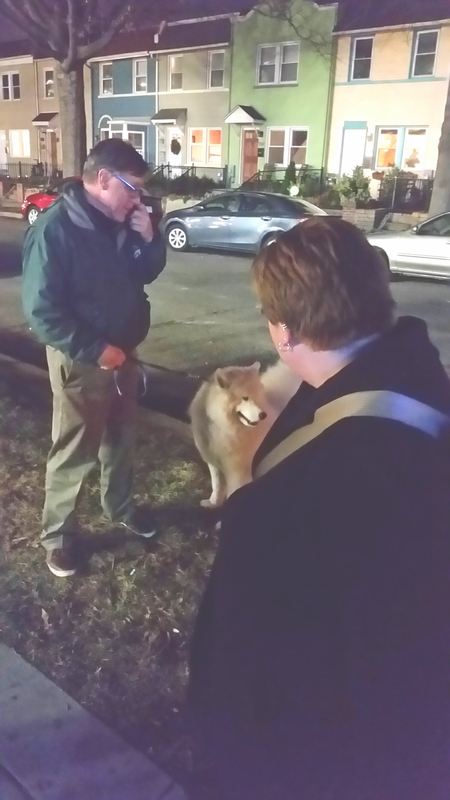 Dogs in D.C. | Drake in D.C.
Dr. Caufield greets a fluffy Samoyen pup on our way home from the NoMa Metro stop. D.C. residents are fond of their canine friends. Stake out a spot on a bench along a residential street sometime in the evening, and you’re bound to see some furry friends enjoying a walk with their owners. Pingback: #dogsindc: National Gallery edition | Drake in D.C.
« Gloomy Day in D.C.